"If you're a developer, chances are that you have a few API endpoints that you frequently access. 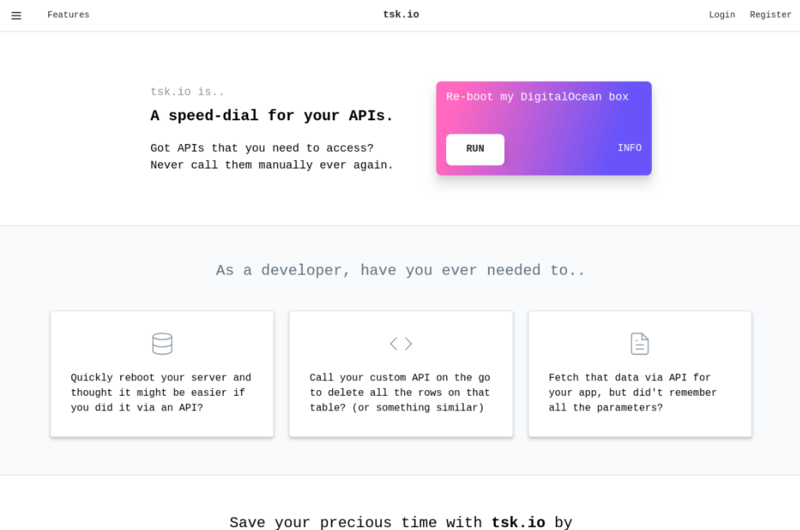 Instead of manually running those API endpoints, TSK.io (pronounced same as 'task') lets you create a speed-dial for your APIs, so next time, all you have to do is just click that button. TSK is built with the latest VueJS as a single-page-application for fast loading and its backend uses latest Laravel."